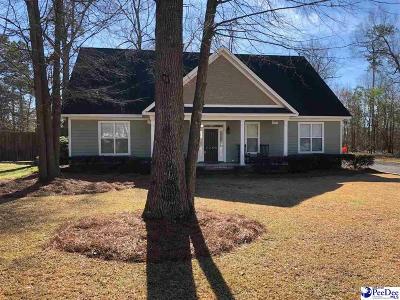 Hidden gem tucked away on a quiet cul-de-sac in a peaceful West Florence neighborhood and close to everything! This custom home features amazing finishes like coffered ceilings, teak wood floors, and elaborate moulding. Master suite and two other bedrooms downstairs with a fourth bedroom and full bath upstairs. Beautiful views from the front and rear porches on this large wooded lot that is fenced in the back. Take a tour of this unique and cozy place you will want to call home!